How do you exchange contact addresses when you meet a new client, friend, business partner etc? How do you tell of what you do or the many things you do? Do you begin to exchange phone numbers by dialing on your phone even when in a hurry? How do you express yourself in little or no time? The solution is your Business Card. Many people have businesses and startups but do not have any means of advertising their businesses, while some have neglected its purpose. 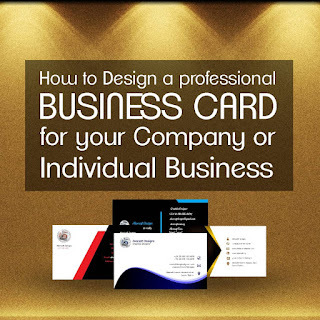 Business cards show information about a company or individual. They are shared during formal introductions as a convenience or memory aid. It includes the name of the company, logo, address, phone number, fax, email and website. Modern business cards include social media addresses such as Facebook, Twitter, Instagram, LinkedIn etc. A business card with striking visual elements would tell a lot about your business. Follow the link below and learn how to design your business card using CorelDRAW. 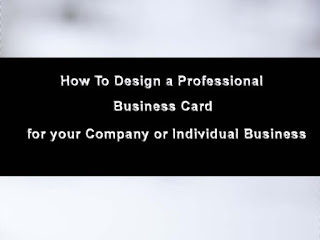 Step by Step approach to designing a Business card with CorelDRAW. Ensure that the software is installed in your computer. Get your template and start designing. A good use of interactive fill tool makes your business card stand out. Import your company logo and place at appropriate position with the company name and slogan inscribed below it. Import logos of social media i.e Facebook, twitter, etc (design them if you can). The use of horizontal and vertical alignments for standard arrangement of info is a necessity. Design the back of the card. A plain design with your logo centered is ideal. Maximise the use of Rectangle tool, Shape, Text, Fill, Shadow, Transparency, Crop tools etc. all these give captivating outputs. Export your cards using RGB (Red, Green, Blue colour palette) for standard printing. Follow the links below and watch full video on how to design your business card using CorelDRAW. 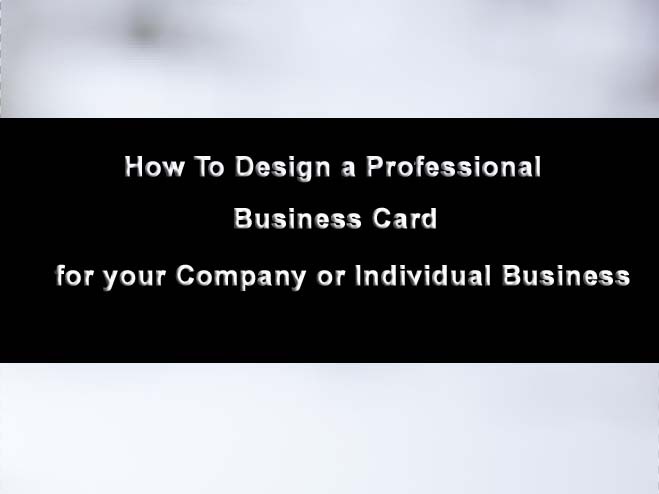 I believe after watching the above video tutorial on how to design your business card, you would be able to come up with a professional design for your company’s card or personal business card. If you have any question regarding to the tutorial, do well to ask via the below comment box and also remember to help others by sharing this article. Thank you very much.